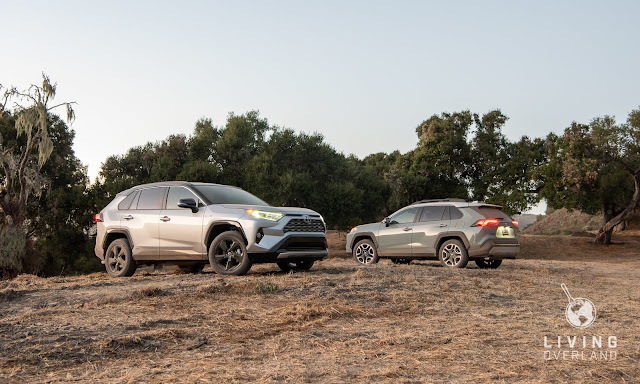 With the debut of the highly anticipated 2019 Rav4, March of 2019 marked a significant milestone in the history of Toyota’s increasingly popular SUV. 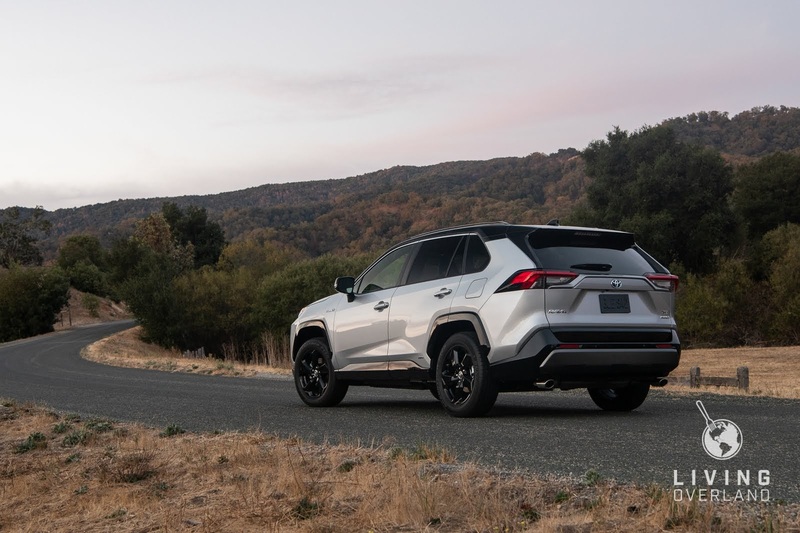 The 2019 model year will be the first of Toyota’s fifth Generation Rav4 and is seen as a recentering of priorities for the automaker. Many, including myself, thought the model, which Toyota claims created the compact SUV segment, had ventured away from the model’s “utility” background. With each new generation, the Rav4 became larger and larger, which is no different than any of Toyota’s other models. 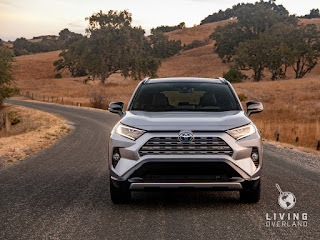 It was with great surprise that when we were able to drive the 2019 Rav4 earlier this month, we were informed the overall height and length were reduced. With the exception of the width, which increased by 0.4”, it seems as if Toyota has found the size sweet spot for this SUV. Another major surprise was Toyota’s departure from the fourth-generation’s lackluster styling, which I can only imagine appealed to elderly women, to an edgier look with a more pronounced stance. I think Toyota found a nice happy medium between the grills found on the previous generation and its Predator-grilled cousin, the Lexus RX. 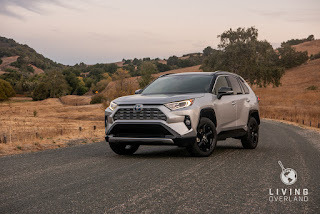 Moving beyond the SUV’s size and styling, the 2019 Rav4 boasts improvements to its already impressive all-wheel-drive system. We loved the fourth-generation’s all-wheel-drive system, which we found to be a significant improvement over that found in the 2008 Rav4 we owned several years ago, and the 2019 is set up to be even better. A first for the automaker, Toyota introduced their Dynamic Torque Vectoring All Wheel Drive system for the Adventure and Limited grades. This new on-demand AWD system incorporates an electronically-controlled coupler on the front transaxle, which improves efficiency by allowing the rear driveline (including driveshaft) to be deactivated automatically when additional traction is not needed. The computer controlled system can independently control torque distribution to the rear wheels via independent left and right couplings, which Toyota claims to dramatically enhance handling, stability, and off-road performance. Hybrid models also see improvements to their Electronic On-Demand AWD systems. The revised powertrain combines a new 2.5-liter Dynamic Force 16-valve 4-cylinder gasoline engine with higher-speed electric motors. The front drivetrain’s efficiency is improved by 25%, through the use of a redesigned transaxle, while new gear ratios in the rear dramatically increase the overall rear torque. The integrated AWD management system receives input from the engine, transmission, power steering, AWD, and brakes to adjust system logic based on road and driving conditions. 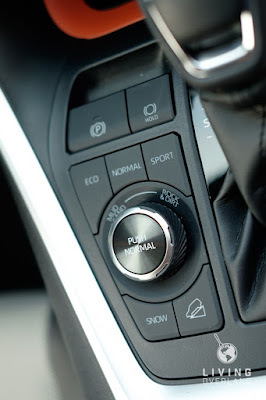 Where the Adventure and non-Hybrid Limited models see five Multi-Terrain Select driving modes (Eco, Sport, Mud/Sand, Rock/Dirt, Snow), the Hybrid models only see selectable Eco and Sport modes beyond the Normal mode. Toyota’s Safety Sense, which we loved in the previous generation, is back with some major upgrades. Now standard on all grades, Toyota Safety Sense 2.0 now adds low-light and cyclist detection to the Pre-Collision System with Pedestrian Detection. Also new with TSS 2.0 is Toyota’s Lane Tracing Assist and Full-Speed Dynamic Radar Cruise Control. 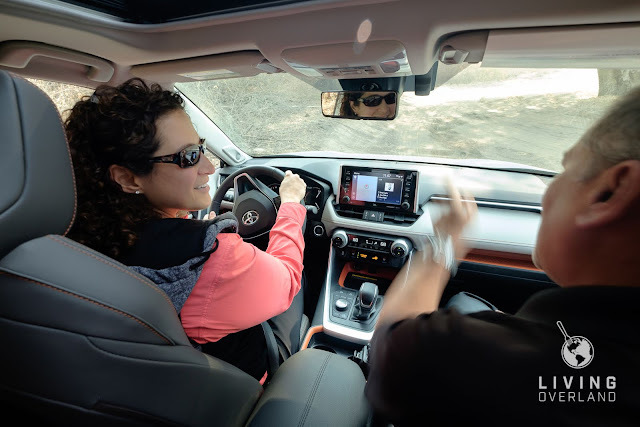 Toyota’s Safety Connect, which includes Emergency Assistance (SOS), Stolen Vehicle Locator, Roadside Assistance, and Automatic Collision Notification, also comes standard on all Rav4 grades. Blind Spot Monitor with Rear Cross Traffic Alert and Intelligent Clearance Sonar with Rear Cross Traffic Braking are still available options, depending on grade. I mentioned earlier how excited I was that, by bucking the trend of bloating the size of each next generation, Toyota kept fifth-generation Rav4 (relatively) the same size as its predecessor. It is refreshing to see an automaker take this approach, where others are producing increasingly larger vehicles, Toyota chose to stick with a size that worked so well. The downside to the slightly shorter overall vehicle height, combined with the additional ground clearance is the reduced headroom. I was pleased with the headroom found in the fourth-generation Rav4, which was more than adequate for my 6ft-6in frame. Although the space was adequate, I did notice my hair rubbing against the headliner in both of the moonroof-equipped grades that we drove. Although headroom was reduced, I feel visibility out of the front windshield has stayed much the same. As with my experience with the 2018 model, I found the driver seat very comfortable. Krista and I had some great seat time in both the Adventure and XSE Hybrid grades, taking the XSE Hybrid on a cruise down California’s 17-Mile Drive and the Adventure on a trip from Carmel to Big Sur. I was able to adjust the driver seat and steering wheel to a comfortable driving position, with only a protrusion on the central console causing me some leg discomfort. The Toyota team was rather excited to show me the Dynamic Torque Vectoring All Wheel Drive with Multi-Terrain Select, and I don’t blame them. It was hard for this engineer and petrol-head to not geek out with the product team as they explained how the system works. But did the system work? Well, I was impressed, even with the little bit of time I spent behind the wheel on the off-road course. I like the idea of having the Multi-Terrain Select, which regulates wheel spin by adjusting the engine’s throttle response and traction control depending on the driving conditions you find yourself in. I look forward to testing out these driving modes under more driving conditions in the coming months. 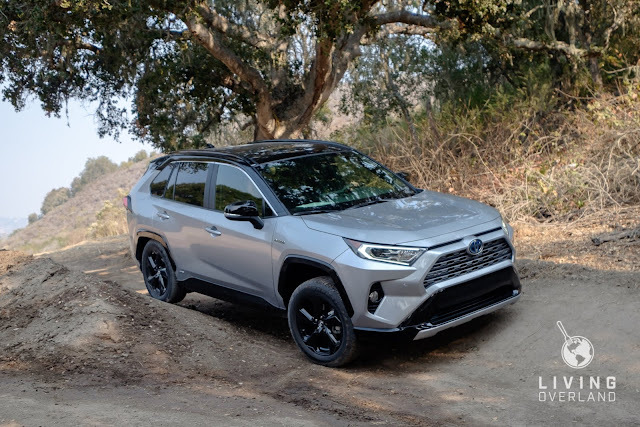 An off-road course had been set up at the Carmel Valley Ranch where we were afforded an opportunity to test out the off-road capabilities of both the 2019 Rav4 Adventure and 2019 Rav4 XSE Hybrid. Both grades were able to easily climb up a sandy wash, comfortably ride over corrugated roads, and redistribute power to wheels with traction on the ground from wheels perched in the air. What impressed me most was the Adventure’s Dynamic Torque Vectoring AWD, which combined with the sand/mud driving mode, allowed us to start from a stop on a steep and sandy wash without having to back down the hill for a running start. The two 2019 Rav4 grades we drove in California offered a number of nice user features. The JBL sound system was clear and crisp—something that JBL worked closely with Toyota on to obtain a theatre-like listening experience with the JBL Clari-Fi audio system. The bird’s eye view camera system allowed me to back into parking spots while being able to see the cars beside me and the wall behind me. This feature can also be used when driving forward at low speeds, giving this short driver an accurate distance between me and the car in front of me when parallel parking or pulling into a parking spot—something I’ve struggled with since I was able to drive. In addition to the heated and cooled seats, I also appreciated the ample cargo space, which would be beneficial for hauling my fly fishing gear and comfortably toting my two large dogs around. The infotainment system had a seamless user interface and offered Dynamic Navigation, Dynamic POI Search, Dynamic voice recognition, hands-free phone capability and music streaming via Bluetooth wireless technology. It was also compatible with Siri Eyes Free, and Apple CarPlay. Other features included wireless phone charging, four USB charging ports, and another USB port for connecting to the infotainment system. I appreciated the ability to simply ask for directions to a destination and having the driving directions pop up on the screen. Which to get, Adventure or XSE Hybrid? As an eco-minded individual, I was impressed by the fuel efficiency of the hybrid. Like the previous generation’s hybrid system, the increased fuel economy didn’t mean less power. 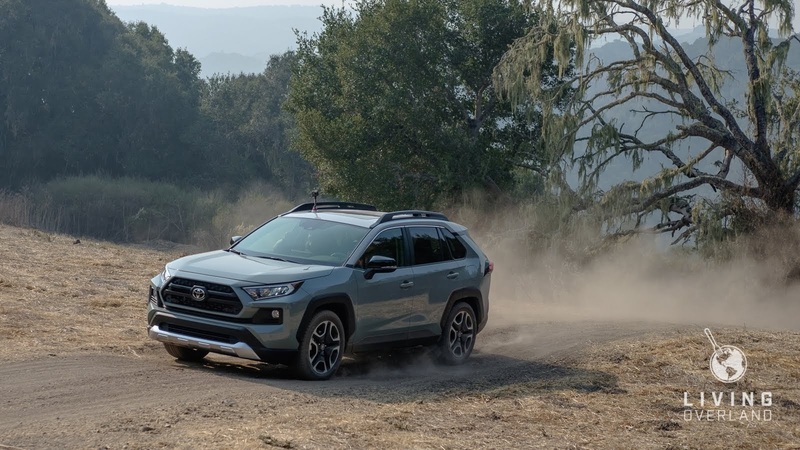 Instead, the Hybrid Rav4s see a total combined 219-hp and easily pulled away from the Adventure in a drag race that we can neither confirm nor deny happened. Currently, the Adventure grade is only offered with a traditional gasoline engine, and I think Toyota is missing out on a significant market advancement by offering an Adventure Hybrid. Those people who appreciate the outdoors and partake in outdoor activities would benefit from a hybrid with the added Multi-Terrain Select modes and off-road suspension found on the Rav4 Adventure. Maybe this is something we will see in future model years, but time will tell. Beau Johnston is an engineer, writer, and photographer who is dedicated to proving you can find a balance between work and life. 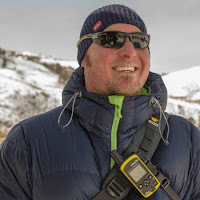 He is the Co-Founder and Publisher of Living Overland and a member of the Rocky Mountain Automotive Press. 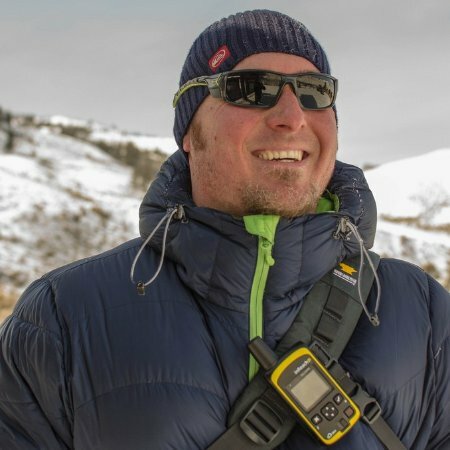 When he isn't working, you can find him exploring National Parks, fly fishing, and camping with his wife (Krista) and their two dogs. Krista Johnston is an engineer, writer, and the Co-Founder of Living Overland. Krista is an avid outdoor enthusiast who enjoys exploring National Parks, fly fishing, and hiking with her husband (Beau) and their two dogs. I too am disapointed that you can't get the adventure features in the hybrid model. My wife really wants one of these, mainly for inclimate weather, but she also really cares about fuel efficiency. It's a shame she has to pick between the 2 things that really drew us to this vehicle. I'm sure the grilles on them will look different as well, the Camry front end we thought looked the best we couldn't get on the hybrid model. Really disapointing they do this. Perhaps, if enough of us speak up about wanting these features, the team at Toyota will listen to us! Is the difference in headroom really that noticeable? I am 6'2" and worried that I won't be comfortable driving one of these. The 2019 Rav4 has 1.2-inches less headroom that the predecessor: 38.9 in. vs 37.7 in. (w/ moonroof). There is also 1.6-inches less legroom than the predecessor: 42.6 in. vs 41 in. Any word on how these handle in the snow? My hope is that they handle as well as the 4th-Gen Rav4, which I loved in the snow!